A Melbourne Derby between rivals Victory and City at Marvel Stadium headlines an exciting opening round of the A-League after the draw was released for the 2018-19 season. 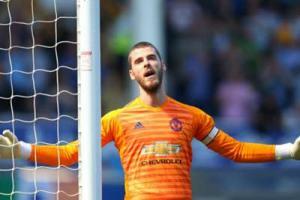 The game, which is set for Saturday, October 20, is part of a round one fixture that takes place later than usual due to a FIFA international window earlier that month. In other fixtures that weekend, Tony Popovic will lead Perth Glory against Western Sydney Wanderers, in a clash against the team with whom he won the AFC Champions League in 2014. Familiar faces will also meet as Mike Mulvey returns to Brisbane with the Central Coast Mariners and Ernie Merrick heads to Wellington Phoenix with the Newcastle Jets, while Sydney FC open the season against Adelaide United on the Friday. Which Round 1 fixture are you most looking forward to? The season will also break for the first time during the international windows in November and March, but games will still run through the Asian Cup in January, according to the head of the A-League and W-League Greg O'Rourke. "As we announced in April, the Hyundai A-League 2018-19 season will kick off later than ever before allowing more overlap with the grassroots season and will break twice for FIFA international windows," he said. "The Westfield W-League 2018-19 Season will also kick-off the following week which will provide additional marketing opportunities for both the leagues and the clubs. "Although there will be no break during the AFC Asian Cup 2019, the Hyundai A-League 2018-19 season draw has been constructed in such a way that will allow a natural flow from one competition to the other from a broadcast perspective to create a summer football schedule that will see 31 Hyundai A-League matches played in 27 days throughout." 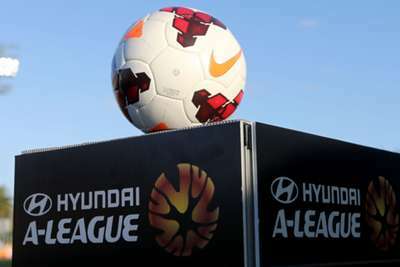 Among other notable points to the new A-League schedule is the continuation of the split round in round 21 to accommodate teams playing in the AFC Champions League, as well as a first ever ANZAC Day fixture on April 25 between Brisbane and Adelaide.